Valentine's Day is just around the corner and I bet some of you are on the quest of finding that perfect Valentine's gift for your partner. When you think fancy candle-lit dinner and bouquet of roses are not enough to show your love for your partner, here's a very simple yet romantic gift you can give to your partner - With Love album. It's packed with a whole list of hopeless romantic songs (by Ellie Goulding, Sam Smith, Bruno Mars, Justin Bieber, Lionel Richie, Robbie Williams, Ariana Grande, Michael Buble, etc.) that you could ask for. I always believe in expressing your emotions and speeches that you can't explain in words through music. We all have to agree that music consists of a few unique elements that make people connected, whether it's the lyric or rhythm or even just the overall song. Also, songs are relatable. You will always have that song that reminds you of some memories, as though it brings you back in time. eg. To the day you met your partner for the first time. Of course, wrapping the With Love album and attaching it to the bouquet of roses would be lovely, you can also share the entire playlist with your loved ones through Spotify, Apple Music, iTunes and Deezer too! 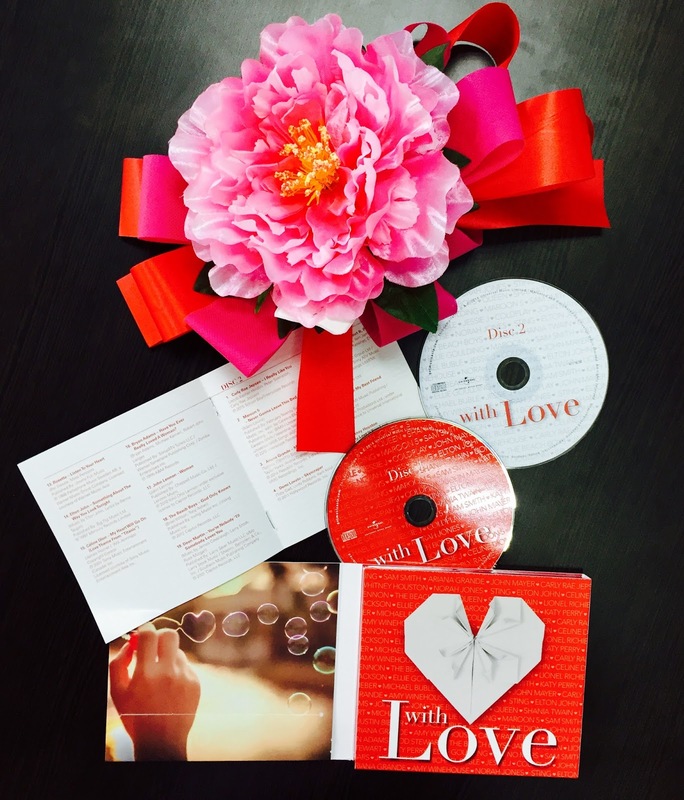 These flowers are gorgeous and this disk would be perfect for a music lover! Love is in the air, when music plays. hehe. Great gift ideas ! Love is in the Air. I want to get this too for our dinner night. Im surprised they are still producing CDs because most of us hardly have CD players anymore haha! Wonder if they have it on Spotify or something. i love ol d singer and music..
That album is full of songs with my fav artists! If, if only there's no Justin Bieber's song, I would go for it. Hahahahha. Such a cute post, thanks for sharing! I really like your blog, let me know if you would like to follow each other! Those flowers are gorgeous and who doesn't love a bit of Sam Smith! i have no bought a CD for a long time but this is worth to buy!